Cats scratch for many reasons. One important reason among these is the desire to communicate information about territory to other cats. When cats become insecure and stressed about some situation, they will often begin scratching household items in an attempt to claim territory and security. What Are the Causes of Stress in Cats? Changes in the schedules of humans in the home. A new pet or person in the house. Loss of a pet or person in the home. The presence of outdoor animals, especially other cats. How Can You Tell If Your Cat's Scratching Is Stress-Related? Cats that have a sudden increase in the amount of scratching they're doing, especially on vertical surfaces such as furniture arms and walls, may be responding to stress. The stress that results in scratching in cats often has to do with other cats or animals outside. It's frustrating to the indoor cat to see, smell, or sense an intruder outside without the ability to get to him. The result can be scratches delivered to door and window frames. Eliminating outside of the litter box. Aggression toward you or other pets in the home. How Can You Stop Stress-Related Cat Scratching? 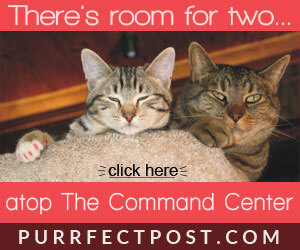 Be sure to provide your cat with plenty of one-on-one time for cuddling and playing. At least 15 minutes a day should be spent in interactive play with your cat. Using toys that mimic a cat's natural prey (rodents and birds) can help decrease her stress, especially if it is an outside intruder that is causing it. Playing with these types of toys allows your cat to put her predator-instincts to work, blowing off her steam. You can find great examples of such toys on our toy page. Provide alternative scratching outlets. If your cat is scratching at a door frame because she sees or senses another cat or animal outside, provide her with a scratching post in that area. Make sure that it's a tall, sturdy post covered in sisal fabric, which is a great cat scratching substrate because it's rough and satisfies a cat's urge to mark territory. You can place catnip on the post to increase your cat's desire to scratch it. 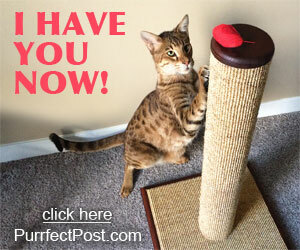 You can learn more in our article, "How to Choose a Cat Scratching Post." Alternatively, if your cat is scratching at the floor at the base of a door, place a horizontal or angle scratcher there. Cover the area that your cat is scratching so she can't get to it. If your cat is scratching door frames and window frames, consider covering them with foil and then placing scratching posts in front of them. If the recipient of the stress-scratching is the sofa, cover it with a heavy blanket that is tucked in well, and place the scratching post in front of it. If you have multiple cats, the feline stress levels in your home will automatically be a bit higher than in single cat homes. Be sure that there isn't a lack of resources available to each cat. That means multiples of everything: food and water dishes, litter boxes, cat beds, and scratching posts. 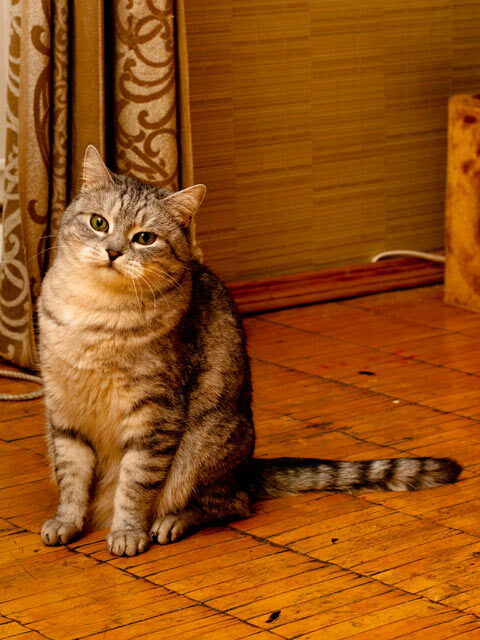 Place them in different areas of the home and make sure there are some in areas where the meeker of your cats will feel comfortable approaching and using them. Scratching posts relieve feline stress. When your cat is able to mark her territory, she feels better. This is due to the inborn need to communicate territory issues with other cats. Even if your cat is an "only," she will still feel the need to mark territory, just in case. Scratching also provides a physical way for cats to "blow off steam." Provide multiple cat scratching posts so your cat can choose the one that fits the bill at any given moment. A scratching post with a bed at window-height can help cats feel better because they can perch and survey their terrain, both inside and outside. This allows them to feel in charge of their territory, and if they need to let off some steam with a scratch, the post is right there. Feliway, a product that mimics the calming feline facial pheromone, can help cats feel less stressed. Using Feliway spray in your home, especially if you have multiple cats, can decrease stress-related scratching. Do not spray the scratching post because it will deter your cat from scratching it, but you can spray any household belongings that your cat is scratching.